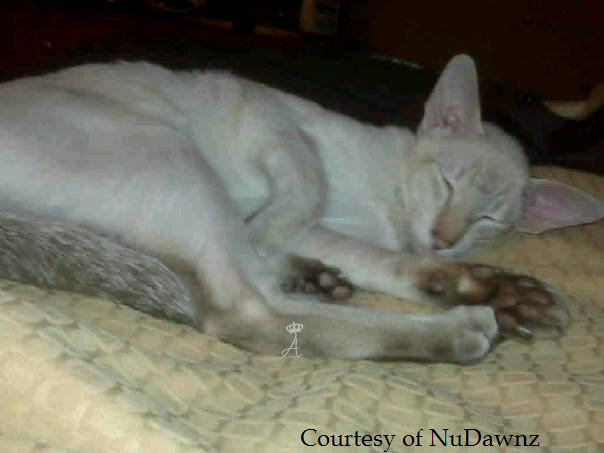 Ava is a modern style, Chocolate Tortie-Lynx point Siamese, or also known as Color-point Short hair (CPSH) Siamese due to its exotic tortie point color. 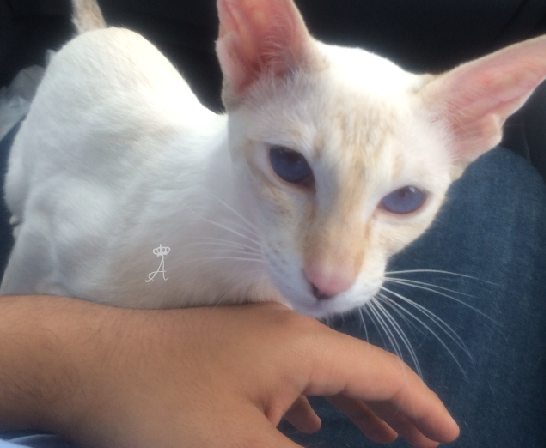 She is a CFA Grand Champion and comes from Champion lines, and Siamese/Color-point Short Hair lines only. 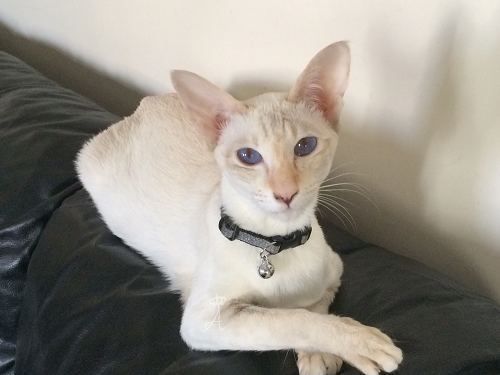 Ava comes to us from Lorna Friemoth, from NuDawnz Cattery in Ohio. 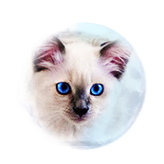 Lorna breeds modern Siamese, Balinese and Oriental modern style cats, as well as other cat breeds. She is a very sweet and loving cat. 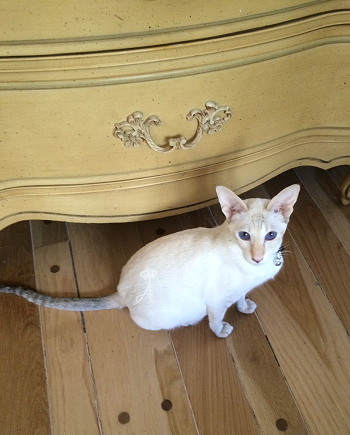 She will come right to us to snuggle and is very vocal like a Siamese cat should be. We are very happy to give her a home. 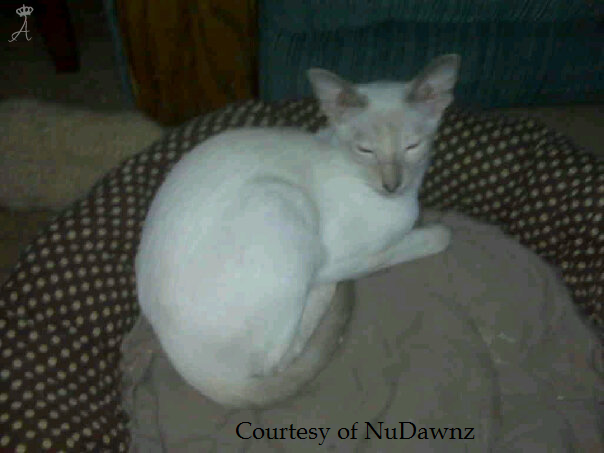 Though we never intended nor thought of owning a modern style Siamese or Balinese cat, we realized that in order to produce a healthy and effective red point Balinese cat breeding program, we needed to find new blood not related to those lines already concentrated. Ava is one of a kind and worth Gold to our breeding program! 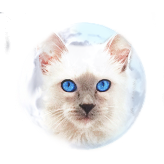 Our goal with Ava is to out-cross and introduce new blood into our rare Red-Flame point Balinese cat lines, and Lynx point Balinese cat lines. 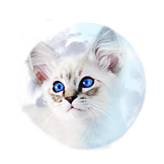 By breeding Ava with Silver or Achilles we are to get Classic standard cats, which are in the middle between Modern and Old-Style standard cats. 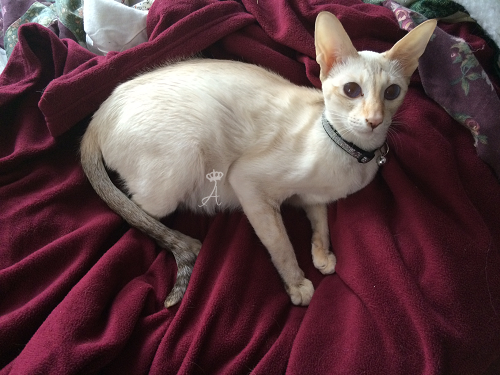 We will be working to produce Old-Style standard cats from Ava's bloodline. Please stay tuned to her future and upcoming kittens! 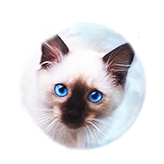 Update: We will be breeding Ava to our Silver Early Fall and expect kittens from this very exotic breeding in December. We are taking names for our kitten waiting list. Update 07/2016: Ava was retired to a very loving home. 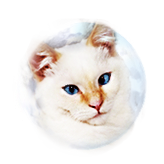 Her legacy in producing rare and complete outcrossed Tortie and Red point breeding lines will continue in our breeding program.